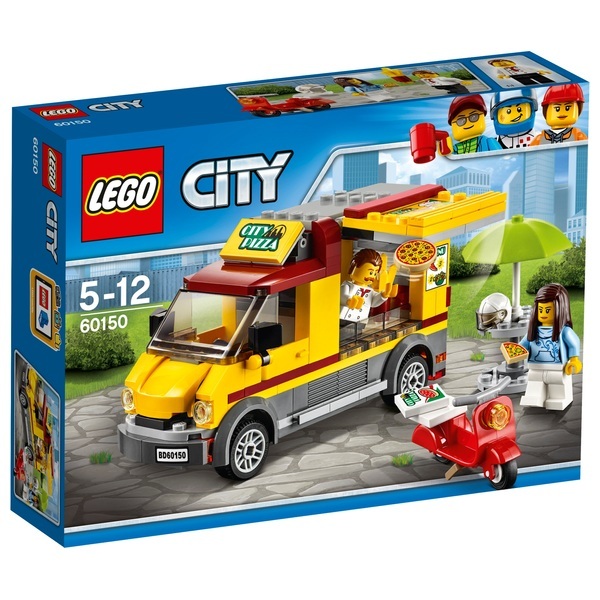 Open up LEGO City Great Vehicles Pizza Van 60150 and get ready to take some orders. Grab the dough and start making a pizza. Cut out a slice and serve it up to the hungry customer before boxing up a couple of fresh pizzas and delivering them on the scooter. Pizza’s here, lunch is served!